Lesley Solomon sat up all night in her son’s hospital room, reading, searching for answers. Her 6-year-old had just been rushed, gasping for air, to the emergency room after flunking a milk-allergy test in his doctor’s office. Now, as her son slept and she fretted, Solomon wondered: Why aren’t there better ways to diagnose food allergies? Why is so little being spent on research into a life-threatening affliction soaring in prevalence? Why is so little known about a condition affecting hundreds of millions worldwide? That was April 2015. This week, just 14 months — and $10 million in donations — later, Solomon celebrated the launch of the Food Allergy Science Initiative, a project at the Broad Institute to better understand the basic science of food allergies. The institute is another example of how patients and their families can spark philanthropy to fill in gaps in the nation’s research agenda. Solomon, a specialist in business development and strategic planning, came well-equipped for such an effort. The case of a 6-year-old Natick girl reflects the growing tensions around food allergies. “I talked to every single person I know,” she said, “a gazillion coffees.” By August, she had connected with two doctors and a lawyer, all mothers of children with food allergies, who had been meeting to discuss the same issue. The four women — two from Boston, two from Brookline — persuaded leaders in allergy research to speak at a symposium on food allergies, held in December and attended by 80 to 90 scientists. That became the springboard for a scientific plan to look more deeply at the underlying mechanisms to food allergies. The women’s families donated $7 million, and an additional $3 million came from the Richard and Susan Smith Family Foundation , a charity serving Greater Boston. The group says it plans to raise at least $20 million more. The group approached the Broad Institute, a research center in the biological sciences at MIT and Harvard, to see whether the food allergy initiative could be part of the Broad. The proposal was a natural match, Broad spokesman Paul Goldsmith said in an e-mail. Although the institute was not looking into food allergies, it was already doing work in related fields. When Solomon contacted Dr. Wayne G. Shreffler, director of the Food Allergy Center at Massachusetts General Hospital, Shreffler’s initial reaction was skepticism. “I thought this is incredibly ambitious and not likely to succeed,” he said. Ruslan M. Medzhitov, professor of immunobiology at the Yale School of Medicine, who is directing the institute, sees a desperate need for its work. 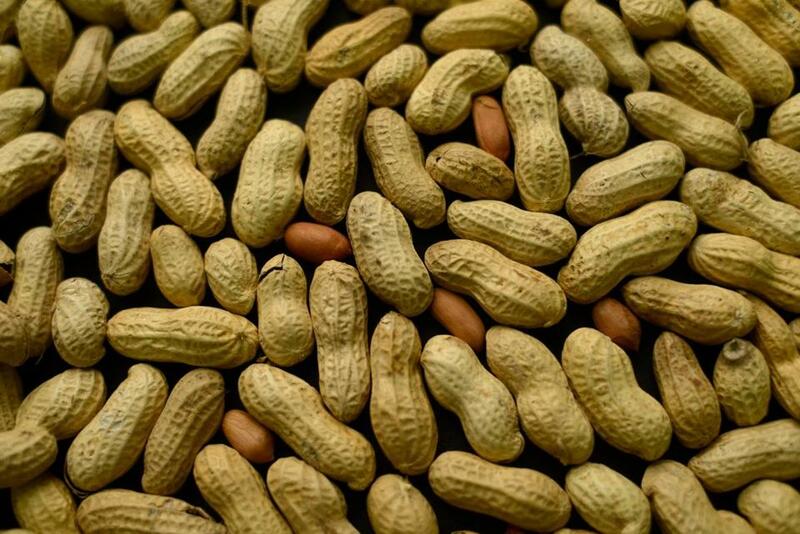 “There’s a very steep increase in the incidence of food allergy, and it’s growing at an alarming rate,” he said. Although he has been studying food allergies on a smaller scale, Medzhitov said the Food Allergy Science Institute will enable “the critical mass necessary to really transform the field,” by bringing together several disciplines — from immunology to food science. The research is expected to begin this summer, Medzhitov said, with investigations into what cell types in the intestine trigger the allergic response. Allergies occur when the body’s natural defenses against harmful invaders go haywire, reacting to innocent substances as though they were deadly invaders. But little is understood about what causes people to have allergies, why certain substances trigger allergic reactions, why some people are affected and not others, why some people “grow out” of their allergies, and how to accurately diagnose food allergies. Blood and skin tests can reveal the possibility of being allergic, but many people with positive tests can safely eat the foods. Observing one such crude procedure is what triggered the campaign by Lesley Solomon, who directs the Brigham Innovation Hub, which helps bring to market discoveries by Brigham and Women’s Hospital researchers. Her son, diagnosed as a baby with allergies to dairy, peanuts, and tree nuts, was undergoing a test in which he tried eating a tiny piece of muffin with milk baked in, in the doctor’s office. If he could safely eat baked milk, he might get over the allergy earlier. Instead, he turned red as if sunburned and soon had trouble breathing. It struck her as an extremely dangerous way to diagnose allergies. The three women who joined Solomon in founding the institute — Dr. Christine Olsen, a radiation oncologist; Dr. Karen C. Nanji, an anesthesiologist; and Ellie Chu, a lawyer — also have coped with frightening food allergies in their own children. Olsen’s son was diagnosed with allergies at 8 months old when he took a taste of hummus in a restaurant. Instantly, the baby started vomiting, developed hives, and swelled up, requiring a trip to the emergency room. He was reacting to the sesame seeds that are ground up to make tahini, an ingredient in hummus. Now 4, the boy has been diagnosed with allergies to sesame, peanuts, tree nuts, and eggs. He had one other allergic reaction, after eating avocado that came in contact with nuts. She had to use the EpiPen, a device that injects a drug that short-circuits an allergy attack. Even as a physician, she found it hard to hold her gasping child and jab his thigh with a needle. Jill Altshuler, a management consultant and adviser to the institute, said her calculations show the disparity in research funding: The National Institutes of Health spends $100 per patient with autism, $10 per patient with asthma — and $3 per patient with food allergies. “That’s where private philanthropy really needs to step up and catalyze the field,” said Altshuler, whose teenage sons have food allergies.